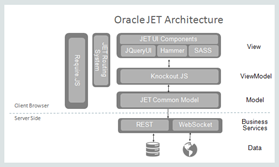 Because the target is to build enterprise applications, JET incorporates thoroughly tested components that have been on the market for quite some time and are mature. This contrasts with the “Java Framework flavor of the week” approach, in which people adopt the newest framework because it’s the best thing since the invention of the wheel. Don’t get me wrong: going for the newest coolest stuff can be great. There are loads of applications in which using one of these newer frameworks can greatly reduce your work and deliver very good results. 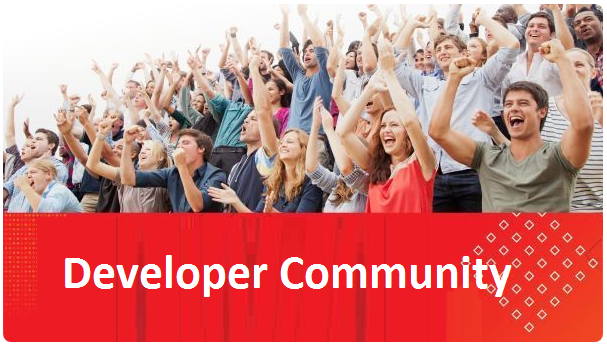 But, within organizations, there are several things to consider when choosing frameworks, such as how many resources are available in the market with that kind of knowledge (something that typically is very low on recent frameworks), what kind of community support is available, how do frameworks work with each other to accelerate development (and what side effects or bugs are there), etc… Organizations go for stability and maturity above all, because that ensures quality and risk reduction. Read the complete article here.